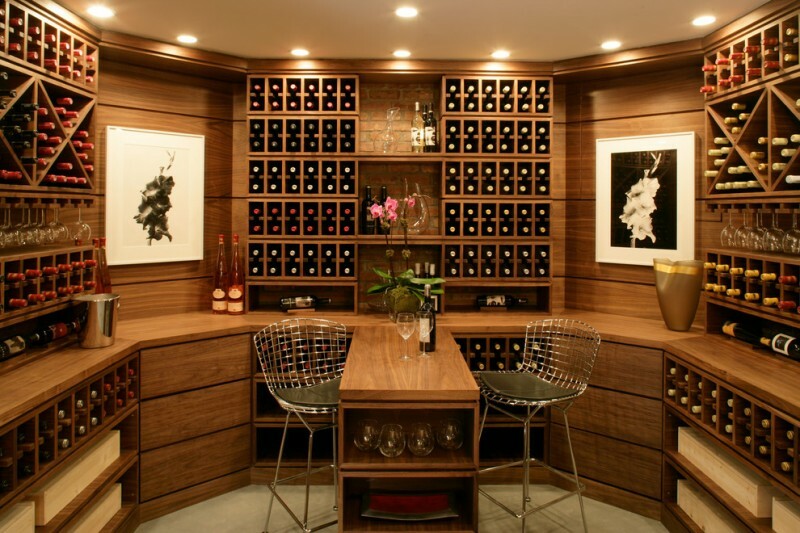 You might wonder if you can utilize your basement for your wine storage. 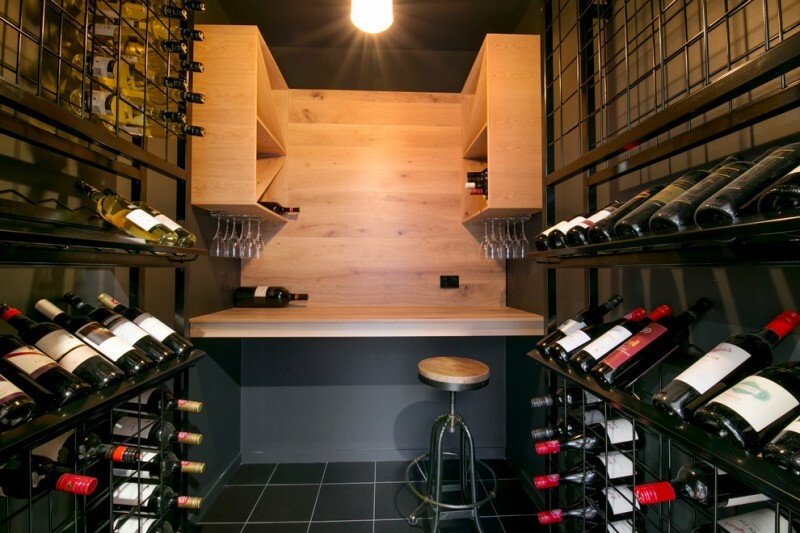 Of course, you want to have useful yet well-designed wine cellar that fits your need. 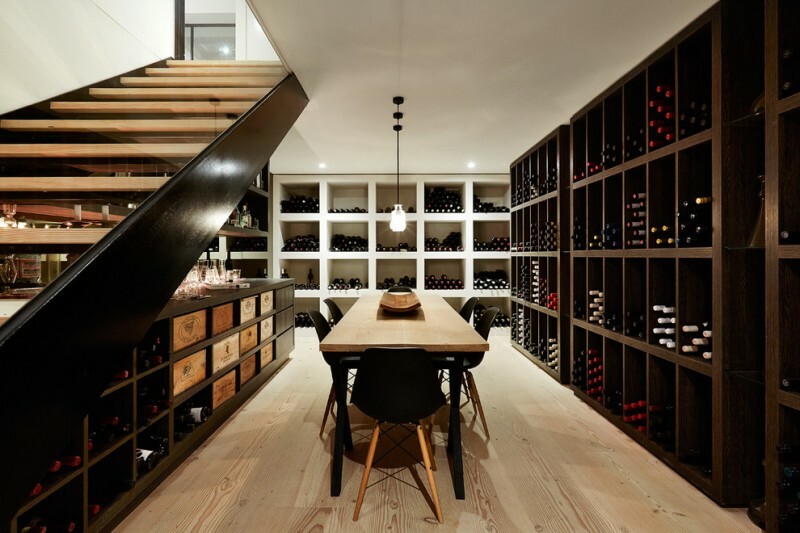 Here are ten ideas of underground wine cellar that you can have to complete your basement. 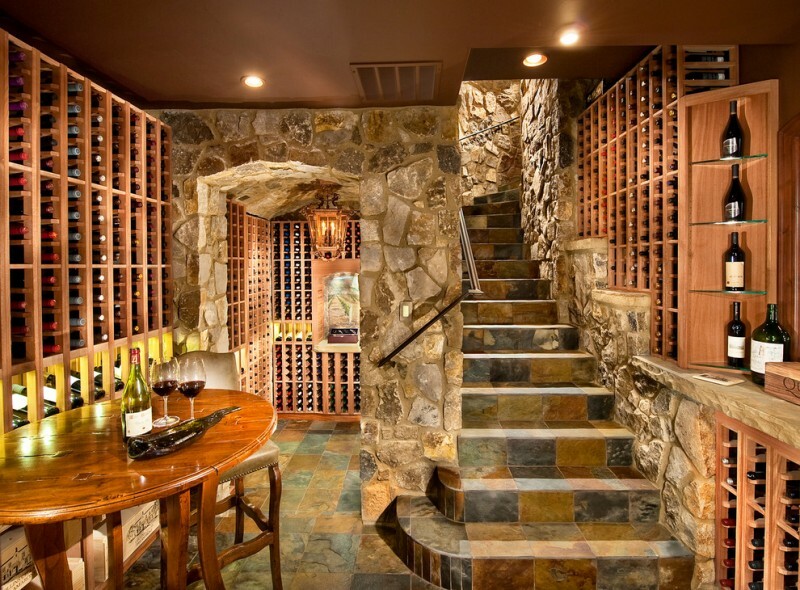 It is traditional wine cellar with stone wall and brick floor in the contemporary house. To go into this cellar, there is wooden staircase with railing. 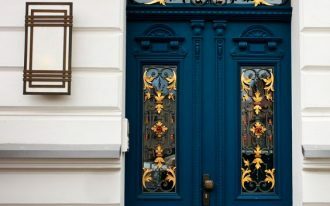 The black metal wine racks are simple yet beckoning placed under the small window bordered by black trim. 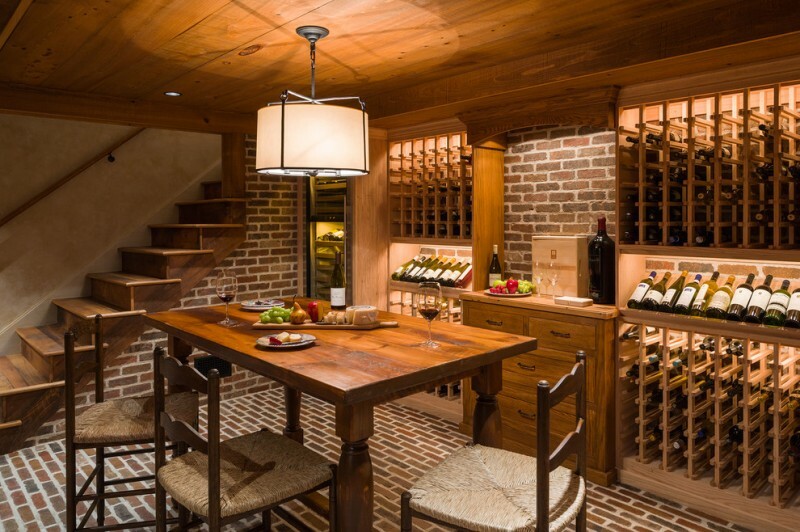 The wine cellar designed by red brick for its floor and wall will be your most peaceful place to rest. The wooden rack is well managed with the stunning lighting. A set of table and chairs give you private space to chat or discuss while enjoying the wine. It is a unique feature in your house to have this wine cellar. The circular entry with plexin glass coverage is a trick that enable you have big number of wine collection. 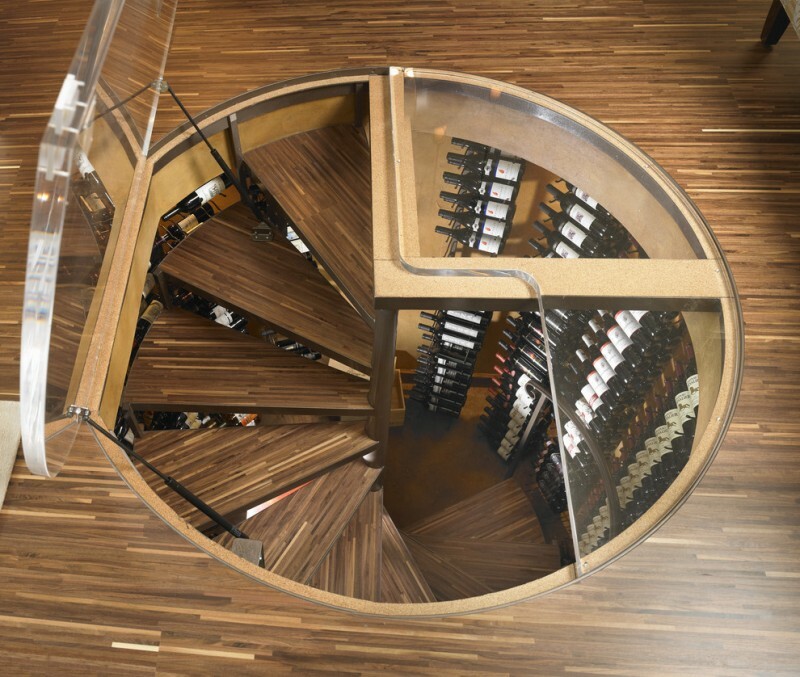 The spiral staircase is also the spotlight of this cellar. 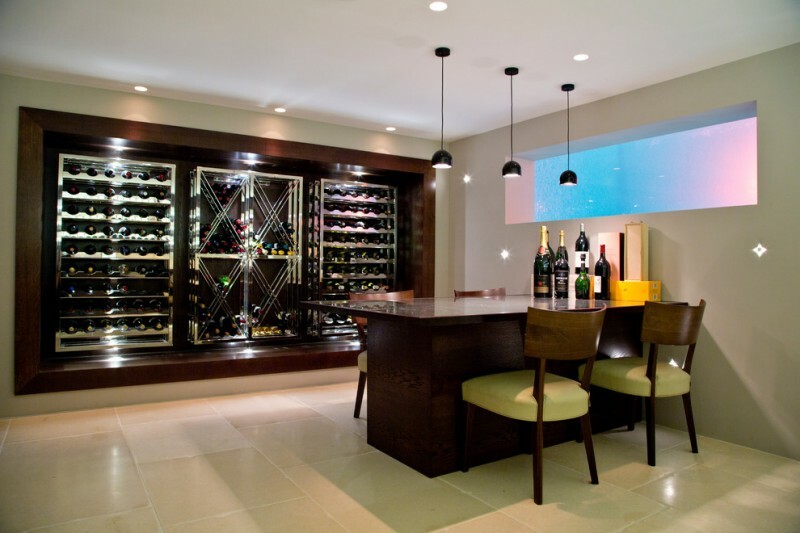 If you have large fine room in your basement, why don’t you try this design of wine cellar? 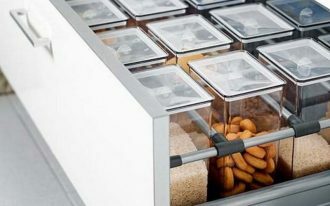 It has two-full height open cabinet in grey and white color. 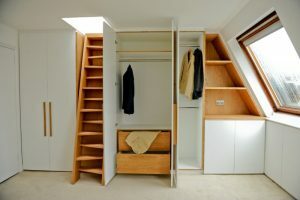 It also has its own low covered cabinet to be additional feature here. In the middle, standing on medium tone wooden floor, a set of table and bar stools are applied. 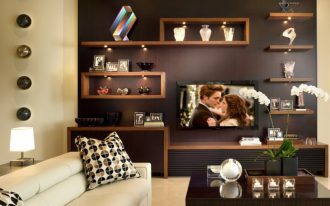 It is contemporary wine cellar and bar with flat-panel wooden cabinet. 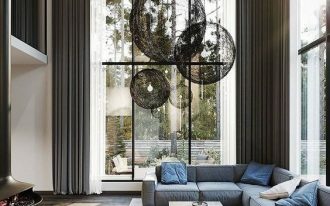 It is designed with two kinds of wine racks: rectangular and X form. 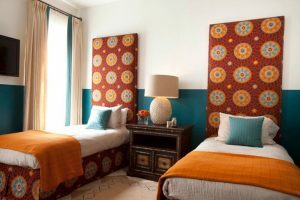 On the wall, we are also able to see the wall decoration. 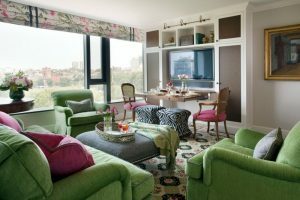 Yet, the most interesting part is the table directly affixed to the cabinet which is perfectly fit with the wire stools. It is an extraordinary idea to have underground wine cellar directly overlooking the swimming pool. 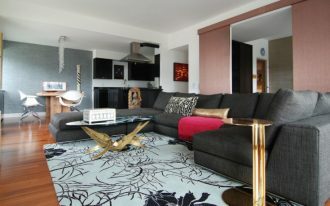 Separated only with glass, it enables you to have wonderful view of blue water. 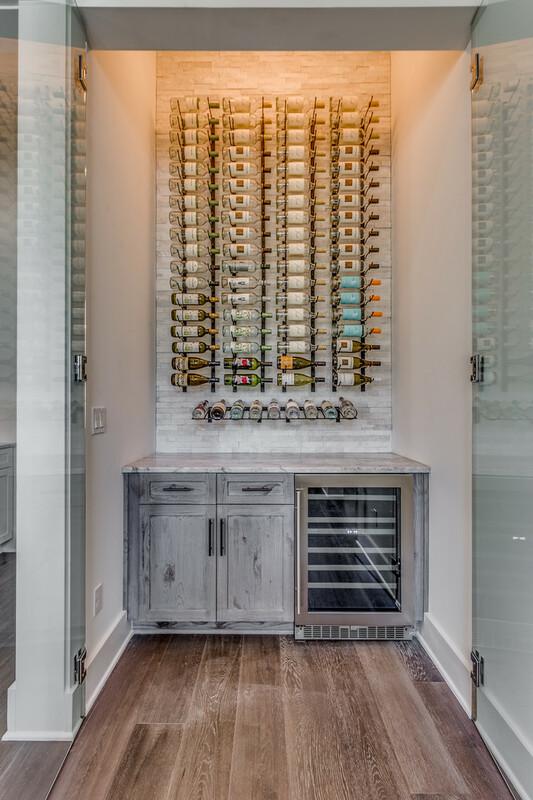 Inside, the wine racks is built in well-organized metal storage system. 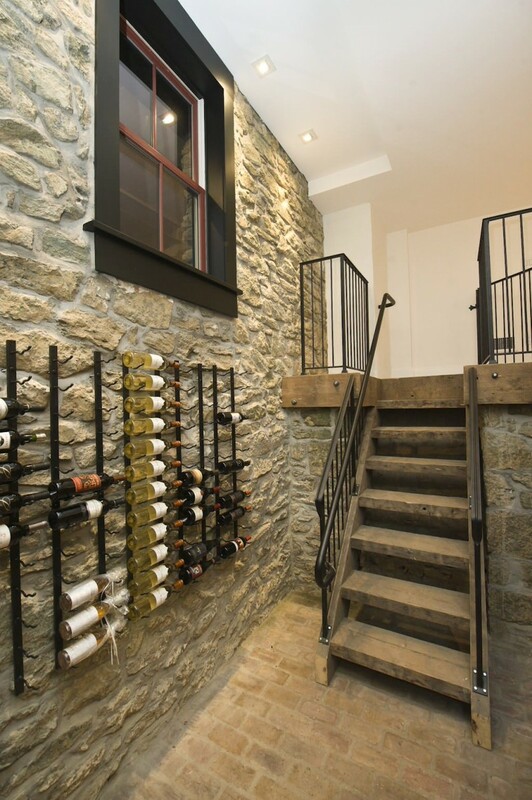 This rustic style of underground wine cellar has its stunning stone wall and slate floor. The wine rack is astonishingly built to cover this place. It is also completed with the round wooden table along its comfortable stools bar. It is a simple design of pantry wine cellar with crafted metal rack designed on the brick wall. To enter this small space, you will need to pass the glass door applied there. This industrial wine cellar is rather simple with the metal racks and small wooden bar space. It is unique idea you can have to your underground wine cellar. 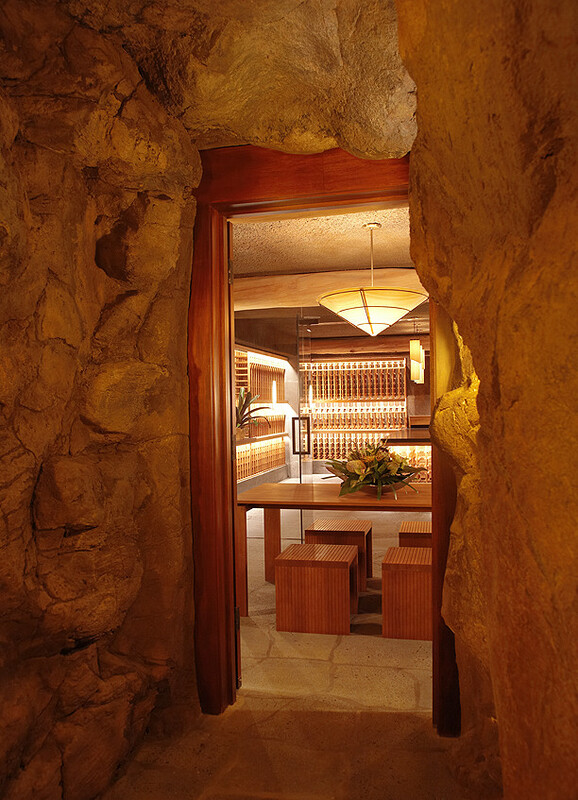 Although the room looks so modern, in order to go into it, you need to pass this stone tunnel-like. It is certainly wonderful idea.